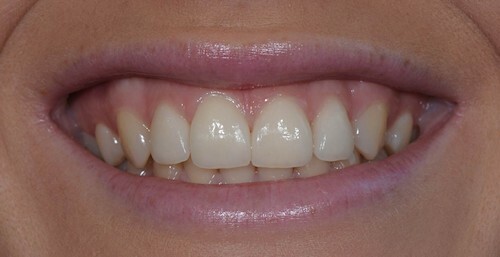 A Smile Mock-up will provide the opportunity for you to be assured that the planned new smile will look right for you. What suits one person may look displeasing on another person’s face. We will not proceed until we are certain that the final result will work well within the framework of your lips and face. We use photography, study models, wax-ups and mock-ups in the mouth to test predicted changes. The smile mock-up allows for feedback and refinement. We also have a trial fitting of any laboratory constructed restorations to check colour, fit and shape allowing final tweaking prior to placement. You can be certain of having a new smile that suits you, before any irreversible changes are made. 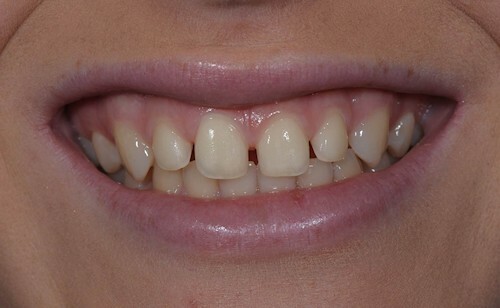 She wanted to see what it would look like if she had the gaps closed with porcelain veneers. 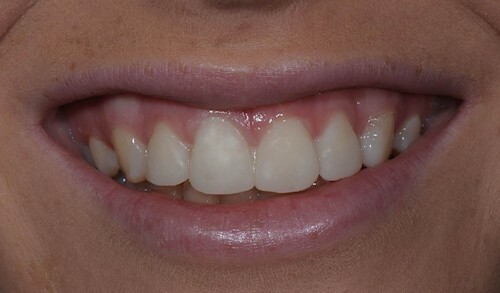 A TRIAL SMILE was “Mocked-Up” in her mouth so that she could visualise what porcelain veneers could do to improve her smile prior to commencing any treatment (Photo 2). 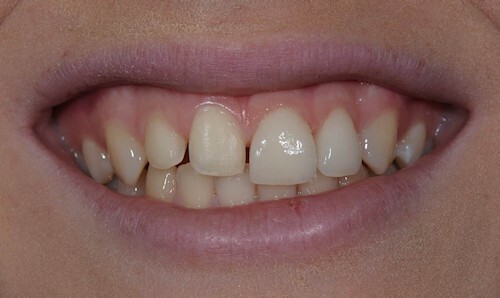 The trial smile revealed that the veneers could be placed with minimal preparation, preserving her natural teeth from unnecessary tooth reduction (Photo 3 and 4). Chloe loved “the look” and knowing the outcome before we started, she could confidently proceed with her smile rejuvenation. 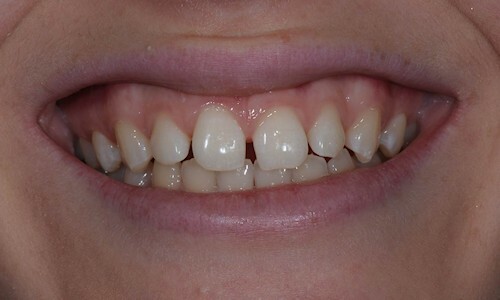 The result: A beautiful, completely natural looking smile (Photo 5).